While many may dismiss mom blogs as another form of gossip and talking about spit-up, the reality is that mom blogs have a great deal of influence particularly in the consumer market place. A good example of this is the controversial Motrin commercial. On a Friday in November 2008, Motrin launched an online video ad meant to sympathize with moms who carry their babies in packs or slings as opposed to pushing them in a stroller. However the video suggested that moms who carry their babies in packs do so to look like an “official mom” and that the pain of carrying a baby in a pack makes moms look “tired and crazy”. Within hours of the video going online, it was one of the most popular topics on Twitter, but not because women felt like Motrin understood their pain, but because they were offended. Although Peter’s quote makes moms sound a little nutty too, it is true that moms band together. They’ve done it for centuries. Blogging has simply allowed moms to reach each other more easily and wield a greater influence. Over the last few years, companies have realized and embraced the power of mothers. Before the Internet, the Motrin incident would have still occurred, just on a smaller scale. One mom would tell another mom about how offended she was by the ad during a play date. Over the course of the week, a small group of moms may have boycotted Motrin, but Motrin wouldn’t have known or felt the effect. Today moms have access not just to their neighbors, but to millions of moms all over the world. Now when a company messes up and one mom complains, it’s online for the world to see and to respond to. Companies realized they could use this power for good. If mommies could complain and cause a major PR fiasco, what could they do if they liked a product? Companies started sending these mommies everything from diapers to all-expense-paid resort vacations. Moms blogged about these new gifts and as predicted, readers responded. But when it was discovered that these moms had received free items or even compensation for their blog posts, the readers felt betrayed and responded with anger. In effect, readers did to mommy blogs what mommy blogs did to Motrin. When you embark on a career as a mom blogger, your readers will develop a relationship with you. You must respect that relationship by working to provide the best content and referrals, and be honest about any freebies or monetary reimbursement you receive through reviews or recommendations you make on your blog. Not only is it required by the FTC, but is necessary to maintain the integrity of the relationship with your readers. About the author: Leslie Truex is the author of The Work-At-Home Success Bible and owner of Mommy Blogging Success, a free resources with tips and advice on turning your rants, raves and reviews into revenue through blogging. 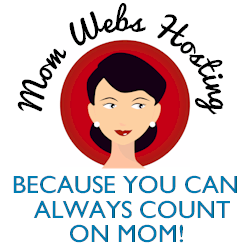 Visit http://www.mommybloggingsuccess.com to learn more. Leslie Truex, also known as The Pajama Mama, truly knows how to combine comfort with making a living. For over a decade she has been working at home, often in her pajamas, and helping others do the same. Leslie is the owner of Work-At-Home Success and the author of The Work-At-Home Success Bible (Adams Media 2009). She has also shared her insights into working at home on The Daily Buzz, CNN.com and in a host of other media outlets.